In this week’s Just Talk, John Rogers sits down with Alex Caputo-Pearl, president of the United Teachers of Los Angeles (UTLA). 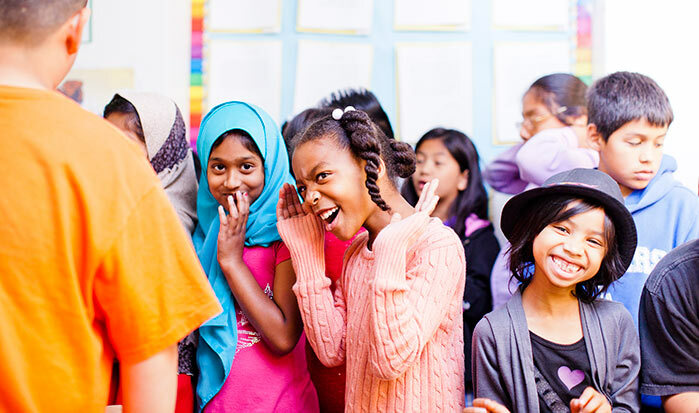 For more than two decades, Alex has taught in Los Angeles elementary schools and high schools. 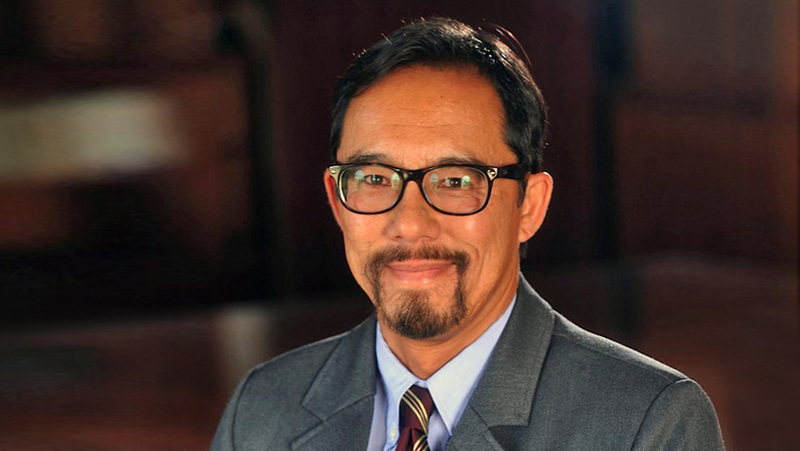 Most recently he served as a social studies teacher at Crenshaw High School, where he co-founded the extended learning cultural model, an innovative approach to connecting schools to the communities they serve. Alex has a long-history as an organizer. He co-founded the Coalition for Educational Justice and played an important role in Progressive Educators for Action and the Bus Riders Union. In 1998, he was one of the inaugural recipients of a social justice educator award from UCLA’s Center X.
John Rogers: I’d like to start us off on a historical note. In 1904, Chicago teacher union leader Margaret Haley gave a speech before the National Education Association entitled “Why Teachers Should Organize.” She wrote, “The struggle to maintain quality schools is part of the same great struggle of workers to secure living conditions for themselves and their children.” To what extent do you feel like Haley’s words still ring true today, and further, what does this imply for UTLA’s agenda? 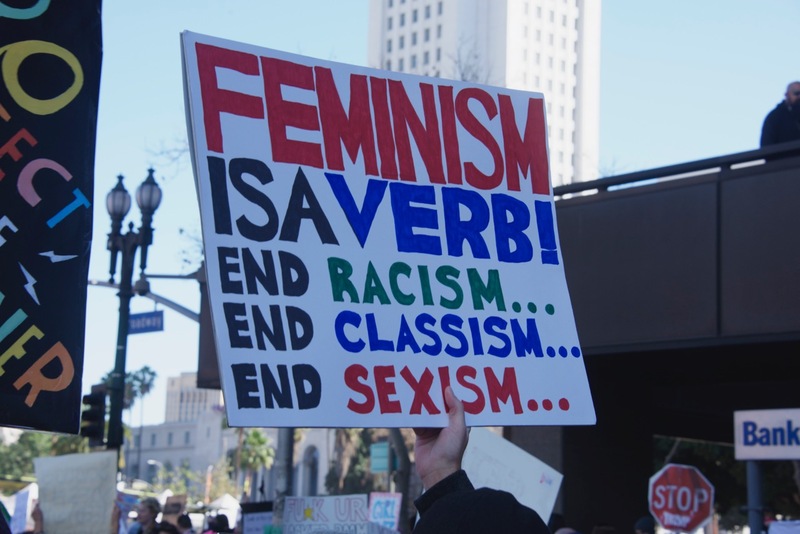 Alex Caputo Pearl: I think her words ring very true, particularly in a place like Los Angeles, where the public school students are approaching 95% students of color and over 85% low-income, working class folks. You have survey after survey of workers in different industries who say that, beyond issues within their industry, the top thing they’re concerned about is their children’s education. So, I think that the words ring very true. Also, because the public education system is a civic institution that serves all students, it is a fundamental good in our society that benefits everyone, but working class and low-income folks in particular. These are people who may be left out if there isn’t that kind of civic institution. As you think about UTLA’s work, to what extent do you feel like you’re trying to advance those broad interests as you engage in contract negotiations, or as you organize and work with teachers? Some of the components of our Schools LA Students Deserve campaign relate to this. For example, the campaign is citywide, and we’re engaging not just 33,000 educators but hundreds of thousands of parents and youth as well. 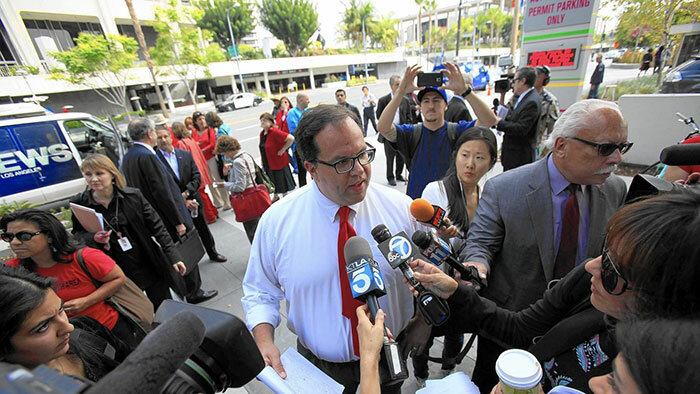 In one way, the Schools LA Students deserve campaign is a contract campaign. We are fighting for things like educators’ salary and benefits, which matters not just in terms of recruiting and retaining educators, but having fair compensation for people who are doing very important work. We see this as setting a standard for other sectors to live up to in terms of wages and benefits. But really, it’s much more than that. In our contract, we are able to bargain and we are organizing around things like class size, access to counselors, and access to nurses, to name a few. We are also now demanding that the curriculum expand to include ethnic studies, and more opportunities for music and the arts. We’re pushing for more support for special education, as all levels of government over the years have, in many ways, left behind our most vulnerable students. So, our contract campaign is suffused with a lot of demands that benefit society much more broadly. 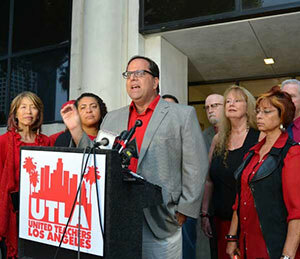 Beyond that, UTLA is part of a growing national movement that is centered on the idea of bargaining for the common good. By the time we get to the bargaining table, we’re taking demands and proposals that have come out of months of working with community organizations, youth, and parents, and that bring to light things that are not typical, mandatory subjects of bargaining. If a subject falls outside the norm but we think it’s important to sustaining the civic institution of public education, we won’t hesitate to make it an issue. For instance, we’ve recently put forward proposals to expand green space at schools, and we have a proposal that the district establish a million dollar legal defense fund for students and family members who are facing deportation. We’ve demanded a stop to the so-called random wanding of students, which has resulted in racial profiling in schools. In bargaining for the common good, we see great possibilities for a style of campaign that puts forward a vision for the city as well as for the schools. You hinted at this earlier, but I’m wondering if you can say a little more about how your engagement with young people and community members allow you to hear their concerns and promote the common good. 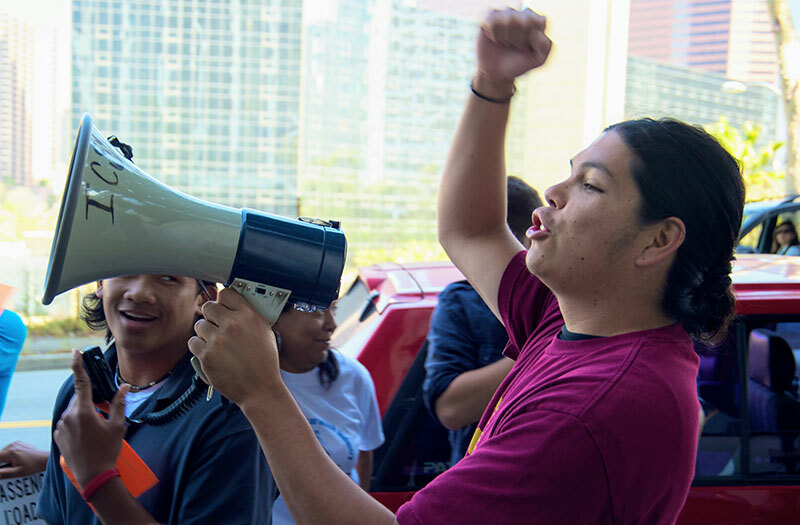 Over the last few years, we’ve worked with many different organizations—from immigrants’ rights and civil rights, to community organizing groups, or Reclaim Our Schools LA. 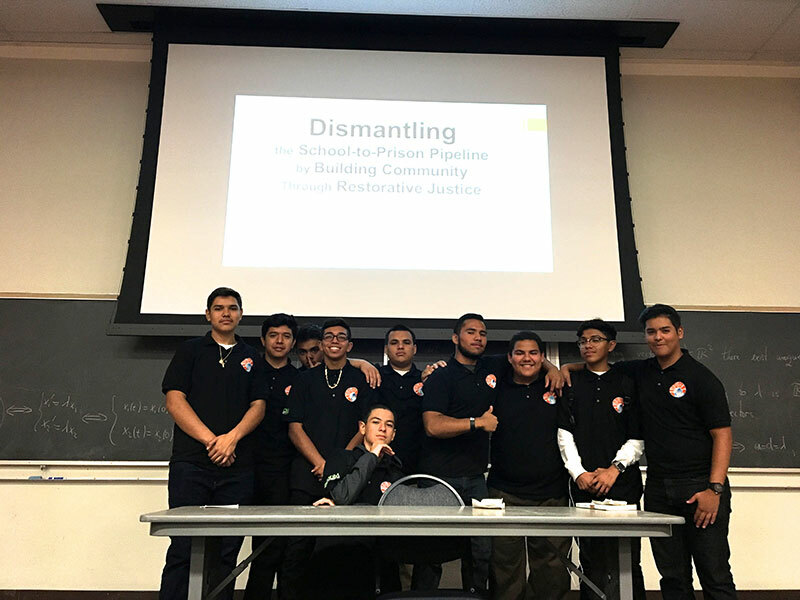 In the case of Reclaim Our Schools LA, we were very deliberate in holding a number of meetings in different parts of the city, from the northern San Fernando Valley down to the most southern parts of south LA, with community groups, parents, and youth. First, we just listened to people’s concerns. When we went back for a second round of meetings, we said “Okay, these are some ways we can address your key concerns through a proposal that will get the school district to act, or to use its leverage to get other institutions to act.” For example, we’ve got a demand that LAUSD use its influence to press MTA to provide free bus passes to all students in Los Angeles. This was only made possible by engaging in a dialogue over a period of months. It was very productive, and we learned a lot from the process—the long conversations, going back to people and checking in, and so on. Is that the result of a shift in how you deploy staff resources at UTLA? Yeah. In 2015-16, UTLA had one of the lowest membership rates in the state of California among teacher unions. After taking that up with our members, we ended up having 82% of our members vote to increase our dues. Some of that we put into member rights issues—that is, making sure we’re continuing the very important struggle around bread and butter issues and representing teachers’ workplace issues. We also put a lot of resources into building up our parent and community engagement arm. We also have staff who are specifically assigned to work with parents who are, for example, frustrated with the impacts of privatization at their schools, as some charter school locations are taking resources away from the district school. So as things change, we’ve been able to develop and then deploy staff resources in a different way. I want to ask you about the different ways that the Trump administration has created new challenges or vulnerabilities, and how UTLA is responding to them. One of the results of Donald Trump’s victory is the appointment of Neil Gorsuch to the Supreme Court. Right after President Trump nominated Gorsuch, the conservative Center for Individual Rights filed Yohn vs. California Teachers Association. This case seeks to re-litigate Friedrichs vs. CTA which challenged the right of all public sector unions to collect dues for collective bargaining purposes. The U.S. Supreme Court split 4-4 on Friedrichs. Neil Gorsuch, who has a history of siding with corporate interests over labor rights, now represents the potential deciding vote in this new lawsuit. To what extent do you see Yohn vs. California Teachers Association as a threat to UTLA, or to teacher’s unions more generally? What do you do about that threat? We’ve looked at the Trump/DeVos agenda as … there are obviously multiple threats there. There are clearly threats to our students and families around immigration issues, but there is also a dangerously cavalier attitude towards issues of race, racism, police brutality, and so forth. That is all part of the Trump agenda. We think that potentially cutting federal resources for schools and bulking up privatization efforts through charters and vouchers is very serious. The Supreme Court as it’s now constructed, and the Janus case and others are a fundamental threat to labor unions, as they basically put forward an idea that is anti-collective, in the sense of allowing people to benefit from collective action and collective bargaining without having to contribute to the collective. It is a great threat. UTLA has been moving an organizing agenda for the last three years, beginning with our contract campaign in 2014-15 and different community issues as well, and because we’re methodical and systematic about building structures that all 900 school sites across the city benefit from, I think we’re probably in a better position than many unions are. Our members see that being part of a collective has brought some substantial results. Having a fighting union is important, particularly in these political times. But it is very worrisome for the labor movement overall. We’re going to have to put a bunch of our resources into making sure that all of our members remain members, and continue to see the real value of the union. You hinted at a few other issues for teacher unions, and for the common good, which have emerged since Trump took office. The centerpiece of Trump and DeVos’s education agenda had been the expansion of voucher and charter schools. To what extent do you think the nexus of Trump and the charter agenda has affected, or shaken up, California charter school politics? It didn’t go without notice that, when Betsy DeVos was first nominated right before Thanksgiving, the California Charter Schools Association (CCSA) came out with a very positive statement about her public comments. A few days later, CCSA retracted them because there was a fear that Trump, being tied to charters, was going to take some of the gloss off of the charter movement in California. I do think it’s had an impact, that someone as ideological and irrational as Donald Trump, and someone who has the lack of experience and record of intolerance like Betsy DeVos, the fact that they are so tied to the charter agenda has had an impact. That said, I don’t think it’s enough of an impact to really realign things in a place like California. The irony of California is that, in what is arguably the bluest state and factually the richest state, we’re 46th out of 50 in per pupil funding and we’ve got one of the most permissive legal structures for authorizing charters. When you put those two things together, it means that there’s very low revenue coming in and it’s very easy for revenue to leave through charters. Nobody would argue that this is a good business model. I think the harder nut to crack and the bigger struggle in California is how community-labor coalitions can lead California to do something bold in the age of Trump, and move us out of 46th place in funding. Let me ask the seemingly impossible question. Part of the politics that undergirds this dynamic, is that many in the business community, including billionaires in the high tech sector, have chosen to invest in charter school expansion rather than build the case for greater public investment in the public schools that six million students in California are attending. Is there a way to change that common sense amongst the sector of billionaires? If so, how do you go about doing that? I think there is, and it’s a big part of our Schools LA Students Deserve campaign. We need to do a better job projecting what public schools, and public school districts, actually do. Part of it is telling those positive stories, which is part of reframing some of the argument. 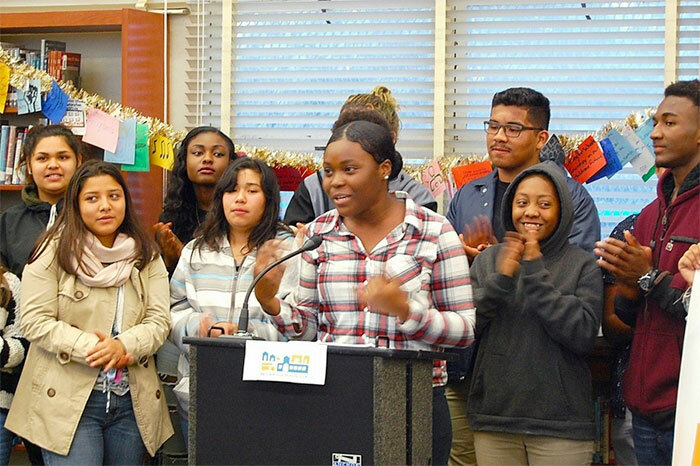 A big part of Schools LA Students Deserve campaign is what we call the 20 by 20 campaign: the state of California, or at least Los Angeles, should be spending $20,000 per student, per year, by the year 2020. That’s very aspirational, seeing how we’re around $11,000 per student right now. What’s great about the 20 by 20 campaign is that it already exists in the real world. There are already states that are putting $20,000 per student into education. It’s not aspirational for New York. 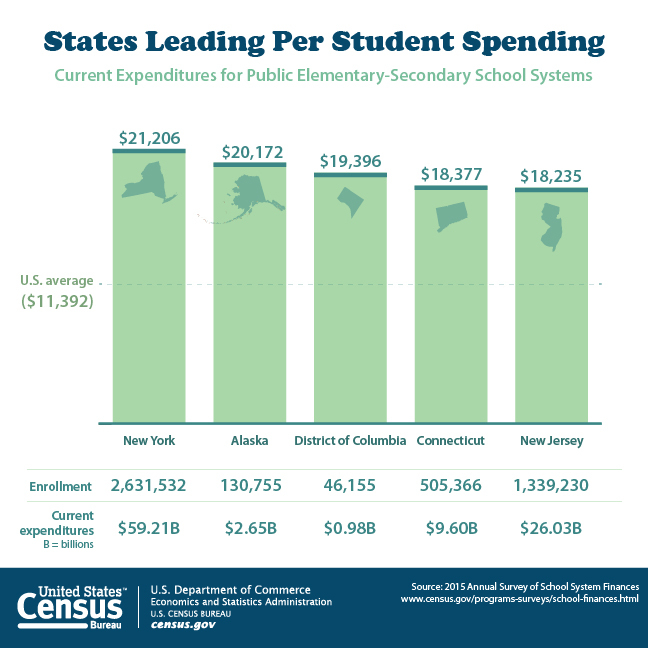 It’s not aspirational for Connecticut or New Jersey. Why is it aspirational for California? Exactly—why is it so difficult to realize here, where there’s more wealth than in any of those places? Part of the problem we’re facing is figuring out how to frame the issue differently. We need to say, “Okay, if we really value the civic institution of public education, then we’ve got to act like it in the richest state in the country.” It isn’t an anti-charter message; charters should serve the purpose that they originally aimed to serve, which is to be centers of innovation that they can feed back into the public education system. They should not be creating a parallel system that undermines public schools. I think that, with many of the scandals that continue to emerge from charter schools, charter chains, or leaders in the charter movement, some of the gloss has come off of the word “charter.” Some of the shine has come off of that. There’s a renewed interest in accountability structures. The work of the NAACP has been profoundly important around this issue. If there are multiple ways to authorize charters, it leads to less transparency and less accountability. If you slim it down in terms of how you authorize it, it goes towards transparency and more accountability. And less playing one venue off of another. Right, exactly. I do think it’s possible. I think it’s going to take a social movement. That’s why this moment of the Schools LA Students Deserve campaign is so important, given that Oakland, San Francisco, and San Diego are all in bargaining. There’s a moment here where we can build the kind of movement we need. What would be different in the lives of your members, and even more importantly, the lives of the students and families that they’re serving, if the 20 by 20 goal was realized? It’s pretty astonishing to think about. I always encourage people to go to UTLA.net to look at all the bargaining proposals that we’re putting across the table. Both the common good proposals and the more typical contract proposals. It would mean a nurse in every school. It would mean a librarian in every school. It would mean actually having restorative justice programs, staffed with people whose job it is to help develop restorative practices. It would mean that what I had when I taught at Crenshaw High School, when it was a Quality Education Investment Act school, I went from having 48 students in my World History classes to having a few years where I had about 27 students in those classes, which made a difference for me, my students and for families. It would mean another one of our common good proposals around investing in a community schools model. It would mean more schools with wrap around services, with real breadth of curriculum in ethnic studies, music, and the arts. Thinking about going form $11,000 per student to $20,000 per student is a pretty astonishing thing to think about. I’d like to return to the threat you mentioned before, which has heightened in the last couple of weeks—the threat to immigrant youth and their families. 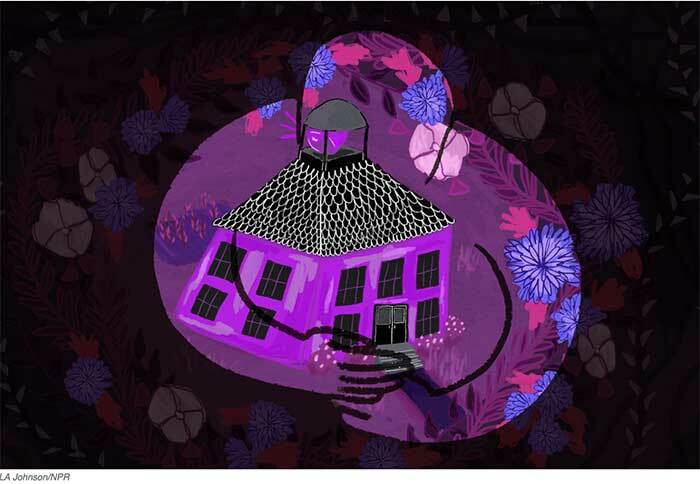 What role can a teacher union play? You mentioned that you’re bargaining to earmark a set of dollars for legal protections. What else can the union and your members play in supporting young people and their families in this time of threat? 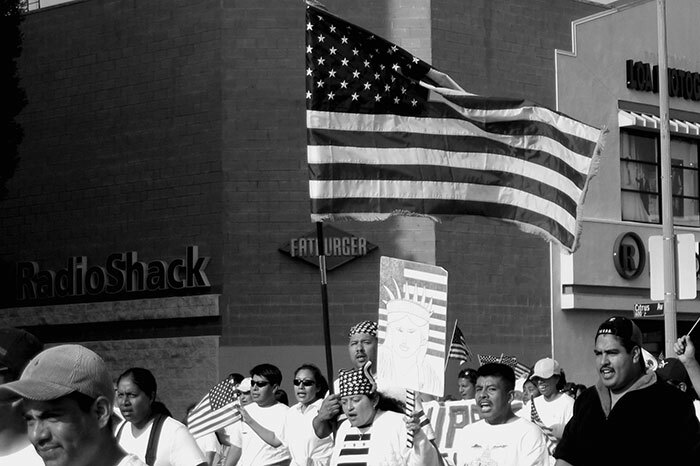 In UTLA, we’re proud to be part of that movement and we have been for quite a while. It’s something that you always wish you could do more. Along with our partners in the Alliance To Reclaim our Schools national network, we were instrumental in doing a national day of action on January 19th, where hundreds of teacher unions across the country made it visually clear by having shields—we printed tens of thousands of shields for our members—that we’re going to act as shields against deportations and racism. Students saw tens of thousands of educators show support for them on the day before the inauguration, which many were looking at with such fear. It shouldn’t be underestimated, how important that kind of thing can be. We’ve been able to invest in defending our parents, including Juan Romulo, who was picked up by ICE when he was dropping his daughter off at school. Of course, we’re fighting against deportations whenever and however they happen, but to pick up a father as he’s dropping off a child at school is not only chilling in terms of how people could be targeted, but also just wrong in terms of the message it sends to young people. 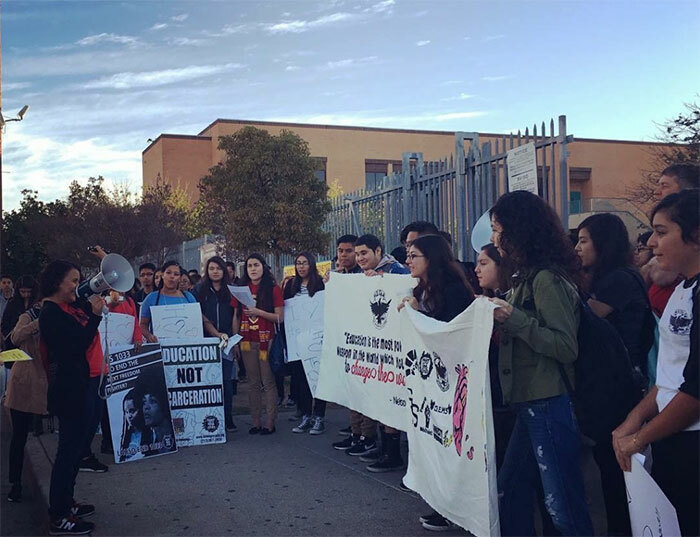 With Reclaim Our Schools LA, we’ve partnered with the Coalition for Human Immigrant Rights in LA (CHIRLA). 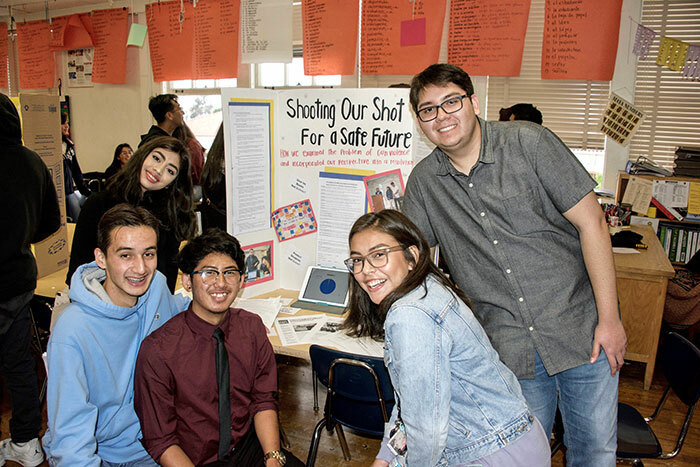 Thanks to them, we’re able to distribute resource information to every educator across Los Angeles, on what to do if you’re approached from a student who’s scared about various issues. We’ve been able to do things like that and we’re going to continue doing things like that. One of the other common good proposals is for the district to use currently unused space at schools to set up immigration clinics. 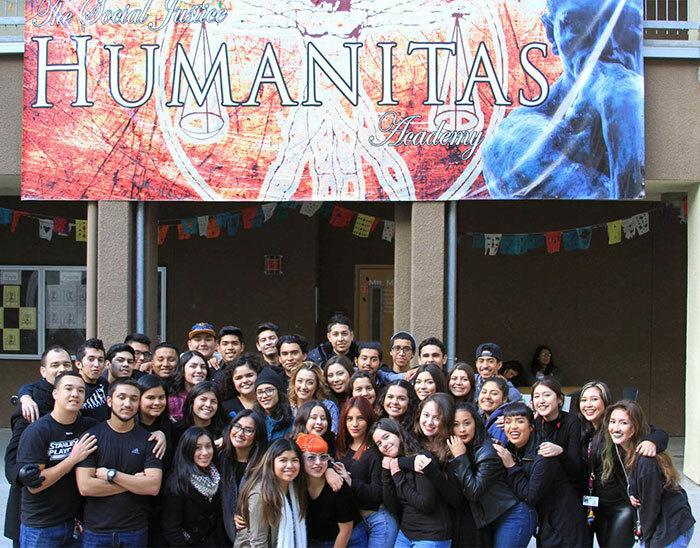 Our students and family members who are immigrants—that’s not the only thing that defines them. They’re people with families, they use public transportation, they have trouble paying their bills, just like the rest of us. Another proposal we’ve put to the district, which is very realistic, is that the district could take some of the unused parcels of land that the district owns and work with a developer to develop affordable housing. It’s very achievable, and we know developers who do that. It actually would benefit the district in terms of money. That’s a housing justice thing, but it’s also an immigrant justice thing. We’re trying to think about things that way as well. Nice. Last question. 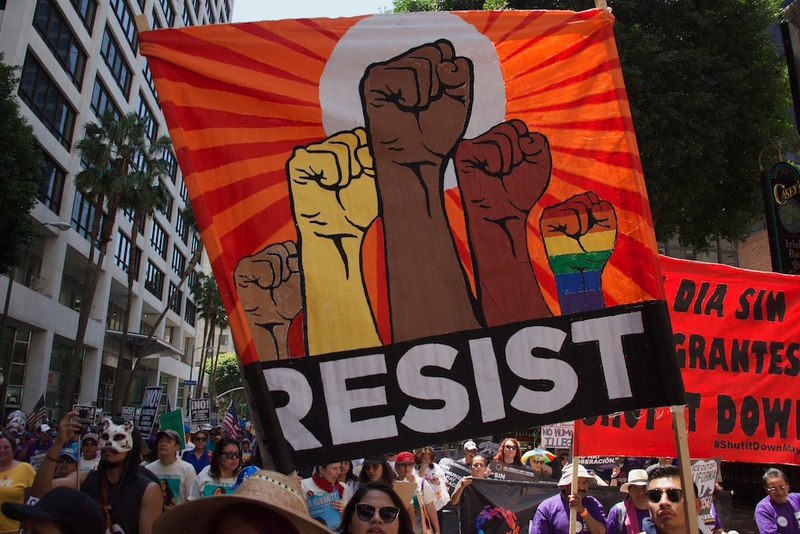 At this moment, with threats to immigration rights and organized labor coming from the Supreme Court and directly from the president, what keeps you hopeful? I think teachers are generally hopeful people. For 22 years as a teacher, I went into work every day knowing that I was touching the lives of many folks who have their eyes set on the future. It’s an inherently optimistic profession in many ways. I think that I sort of internalized that optimism from my years as a teacher. Beyond that, having worked with so many leaders in racial justice movements and unions who keep on plugging away, trying to make things better in our city and in our schools. I just take a lot of inspiration from the people that I work around. 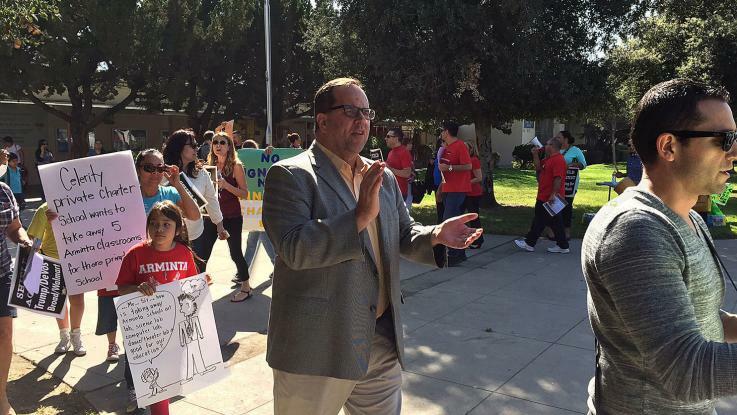 One of my jobs as president of UTLA, or at least one of things that I have made my job, is getting out to hundreds of schools and just talking to members. Even though they can be challenging or difficult, they’re overwhelmingly positive conversations. Teachers want to act together and they want to act together with community. That is a very optimistic thing. Thank you, Alex, for all your efforts to make LA schools better for everyone.